Voilà enfin le Blog de mon chéri Orlando Bloom. Ce Blog est tout d'abord écris en français mais aussi quelques articles sont traduit en anglais par mes soins donc je ne sais pas si celà sera correct donc un peu d indulgence je vous prie.laissez moi vos comms. Bienvenue dans mon blog consacré à Orlando Bloom, les articles sont des photos auquelles je tiens bcp. Je vous conseille de faire des tours de temps en temps. Grace à ce blog vous apprendrez absolument tout de cet acteur formidable. Bonne lecture, et surtout Laissez des commentaires!! Welcome in my Blog who speak to Orlando Bloom. Orlando Bloom est un acteur britannique né le 13 janvier 1977 à Canterbury, dans le Kent. Enfant, Orlando Bloom était dyslexique et l'assuma difficilement. Il a une s½ur, Samantha, née en 1975. Son père, Harry Bloom, est mort alors qu'il n'avait que 4 ans. A l'âge de 9 ans, il a eu un accident qui l'a immobilisé. Déprimé, il a passé son temps à manger et a pris plus de 10 kg, qu'il mit 7 ans à perdre. Il reçut son diplôme du lycée en 1993. À 16 ans, il déménage à Londres pour rejoindre le théâtre national de la jeunesse. Il passera 2 ans au National Youth Theatre avant d'obtenir une bourse pour la British American Drama Academy. En 1998, un accident a failli le laisser paralysé à vie : il tombe d'un balcon du troisième étage et sa colonne vertébrale est brisée. Il doit donc passer le reste de sa vie en fauteuil roulant. Mais les médecins lui apprennent qu'ils peuvent tenter une opération. Malgré les risques(? ), Orlando accepte et quelques mois plus tard, après des mois de rééducation, il parvient à marcher normalement. Bloom was born in Canterbury, Kent, England. His mother, Sonia Constance Josephine Copeland, was born in Calcutta, India, the daughter of Betty Constance Josephine Walker and Francis John Copeland, a physician and surgeon. Bloom's maternal grandmother's family has lived in Tasmania, Australia and India, and are of English descent, some of them having originally come from Kent. Bloom had thought that his father was South African-born Jewish anti-Apartheid novelist Harry Saul Bloom, but when he was thirteen (nine years after Harry's death), Bloom's mother revealed to him that his biological father was actually Colin Stone, his mother's partner and family friend, and the principal of the Concorde International language school. 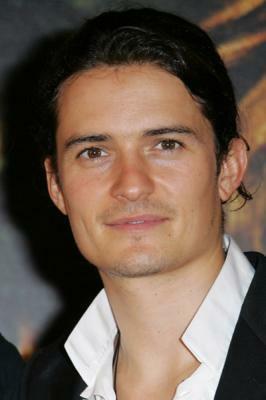 Stone was made Orlando Bloom's legal guardian after Harry Bloom's death. Bloom, who is named after the 17th century composer Orlando Gibbons, has one sister, Samantha Bloom, who was born in 1975. Bloom was not academic or athletic as a child, and managed to struggle through St Edmund's School in Canterbury despite his dyslexia. He was encouraged by his mother to take art and drama classes. In 1993, he moved to London and joined the National Youth Theatre, spending two seasons there and earning a scholarship to train at the British American Drama Academy. Bloom began acting professionally with television roles in episodes of Casualty and Midsomer Murders, and subsequently made his film debut in Wilde (1997), opposite Stephen Fry, before entering the Guildhall School of Music and Drama in London, where he studied acting, sculpture and photography. In 1998, he fell three stories while trying to reach the roof of terrace of a friend's house, and was told he would not regain the ability to walk. However, he made a recovery and was able to walk out of the hospital on crutches within twelve days. Bloom had steel plates inserted into his backbone to support it, which have since been removed, except for a single screw. He regularly practices yoga and Pilates to strengthen his back. Bien qu'ayant failli appartenir à 1 Boys band, Orlando Bloom s'oriente vers 1 carrière d'acteur et tourne son 1er film en 1997, Oscar Wilde (Wilde), aux côtés de Stéphane Fry, Jude Law et Vanessa Redgrave. Après quelques expériences à la télévision, il est révélé au grand public. Initialement auditionné pour le personnage de Faramir, frère de Boromir (Sean Bean), il est retenu pour incarner l'Elfe et archer Legolas, membre de la Communauté de l'Anneau de J.R.R. Tolkien,Le Seigneur des Anneaux de Peter Jackson. Il incarnera 1 soldat USA dans La Chute du faucon noir. Nouvelle coqueluche des adolescentes, il continue sur la voie du succès en interprétant, aux côtés de Johnny Depp, Will Turner 1 jeune forgeron s'engageant en tant que pirate pour les besoins de Pirates des Caraïbes, la malédiction du Black Pearl (2003). Il apparaît également dans une publicité pour GAP en 2002, dirigée par Cameron Crowe, en compagnie de Kate Beckinsale. Sa gueule d'amour lui permet par ailleurs de tenir le rôle du prince Paris, responsable de l'enlèvement d'Hélène, reine de Sparte, dans la fresque épique Troie (2004) de Wolfgang Petersen. Il obtient le rôle principal du film Kingdom of Heaven de Ridley Scott (2005) où il manie à nouveau l'épée, sur fond de croisades. Il incarnera également 1 jeune laitier anglais qui devient boxeur dans "Calcium Kid", de Alek de Rakoff. Il a ensuite joué dans la comédie romantique Rencontres à Elizabethtown (Elizabethtown) avec Kirsten Dunst. Puis, il reprend le costume de Will Turner pour Pirates des Caraïbes : Le secret du coffre maudit toujours avec Johnny Depp et Keira Knightley ainsi que pour Pirates des Caraïbes : Jusqu'au bout du monde (Pirates of Caribbean : At world's end). Il jouera prochainement dans Seasons of Dust. Bloom's first appearance on the screen was a small role as a rent boy in the 1997 film Wilde. 2days after graduating from Guildhall in 1999,he was cast in his first major role, playing Legolas in The Lord of the Rings (2001–2003). He had originally tried out for the part of Faramir, who doesn't appear until the 2nd movie but the director, Peter Jackson, cast him as Legolas instead. While shooting a scene, he broke a rib after falling off a horse, but eventually recovered and continued shooting. The success of the trilogy transformed Bloom from an unknown actor into one of world's best-known celebrities. In 2002, he was chosen as one of the Teen People "25 Hottest Stars Under 25" and was named People's hottest Hollywood bachelor in the magazine's 2004 list. All members of the cast of the Rings films were nominated for Best Ensemble Acting at the Screen Actors Guild Awards for three years in a row, finally winning in 2003 for the third film, The Return of the King. Bloom has also won other awards, including European Film Awards, Hollywood Festival Award, Empire Awards and Teen Choice Awards, and has been nominated for many others. Most of Bloom's box office successes have been as part of an ensemble cast, with his leading roles not having performed as well. Bloom next starred opposite Keira Knightley and Johnny Depp in Pirates of the Caribbean: The Curse of the Black Pearl, which was a blockbuster hit during the summer of 2003. He subsequently played the lead roles in Kingdom of Heaven and Elizabethtown (both 2005). In 2006, Bloom starred in sequel Pirates of the Caribbean: Dead Man's Chest, the independently made Haven, and was one of the guest stars in the sitcom Extras, in which he portrayed an arrogant, narcissistic version of himself who had a great loathing for Johnny Depp (his co-star in Pirates of the Caribbean). Also in 2006, Bloom was the most searched for male on Google News. As of May 2007, Bloom's films had grossed a combined $2.4 billion at the United States box office, and he has appeared in four of the top 15 highest grossing films of all time. Bloom's most recent film role is in Pirates of the Caribbean: At World's End, released on May 25, 2007. Bloom, who had intended to become a stage actor after graduating from the Guildhall School of Music and Drama, has stated that he would like leave films for a time and instead appear in stage roles, and is "avidly looking for the right sort of material that [he] can do something with" and go "back to basics". In June 2007, he is scheduled to begin rehearsing for In Celebration, a West End stage play by David Storey, due to begin previews on July 5 and open on July 12; his character is one of three brothers returning home for their parents' 40th wedding anniversary.